The lanyard is just fine but a bit long for me. I guess I'm short! So it hangs down just past my belt and i'd rather it hung somewhat higher. 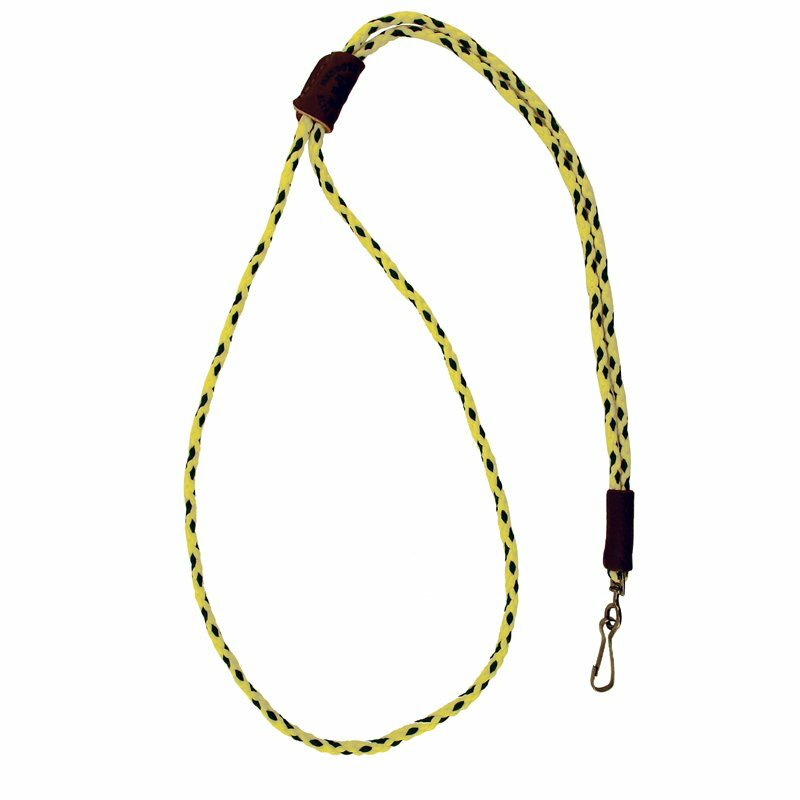 Otherwise the lanyard is just great and I'm certainly using it. Tough, Simple, Easily adjusts to my neck or snaps onto my vest. "This is comfortable and very well made." I keep a whistle on the lanyard at all times when the dog is in the field. This is comfortable and very well made. Good quality, would recommend. Hats off to Gun Dog Supply, everything I buy from them is shipped same day and knowledgeable staff if you have questions on products. 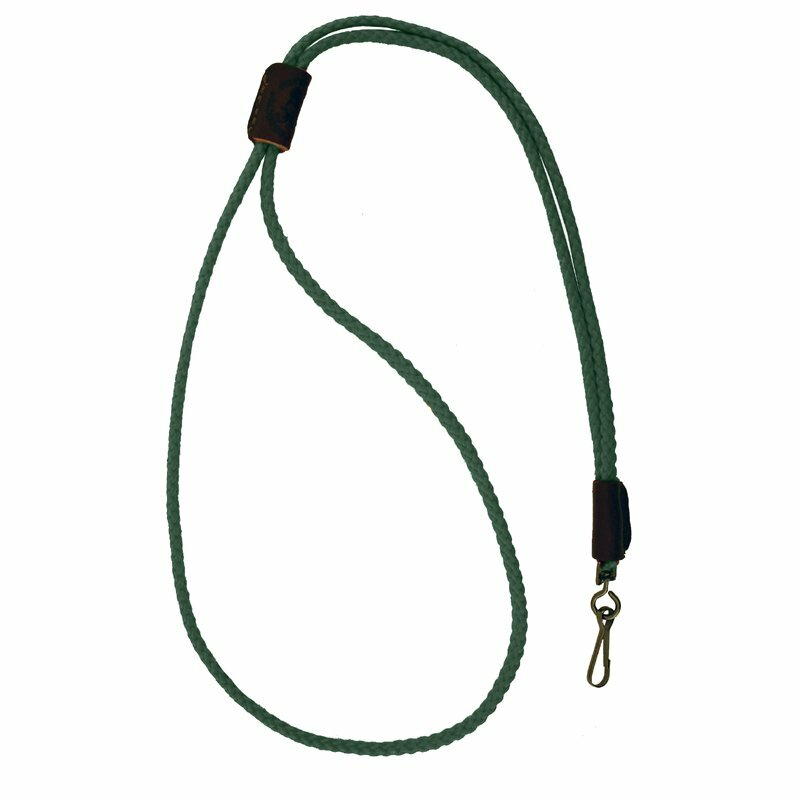 "Lanyard is well made and just what I was looking for." Lanyard is well made and just what I was looking for. "This is a very nice lanyard." 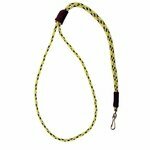 This is a very nice lanyard. You can adjust the length by sliding the leather tab. "Made well. Nice quality for nylon. " Made well. Nice quality for nylon. I will one day use leather or some kind of hide as I just like that better. Also until I get more into things I did not know whether to get the single or double. But this is pretty nice. It is thicker than some. I did not want super thin. It is long enough that I am using it to carry both my Sportdog e Collar and whistle with just this one lanyard around my neck. Love it. "The real deal use it for all my Acme Thunders and ID lanyard as well." The real deal use it for all my Acme Thunders and ID lanyard as well. Love my lanyard. Looks great on me, and I use the top leather piece to cut off the length of the lanyard, so it won't hang below my crotch. Works like a charm, and I love the size of the cord so much better than the leather one I returned last weekend. Thank you, and keep up the great work. "Great product. High quality and great construction." Excellent product with excellent price. 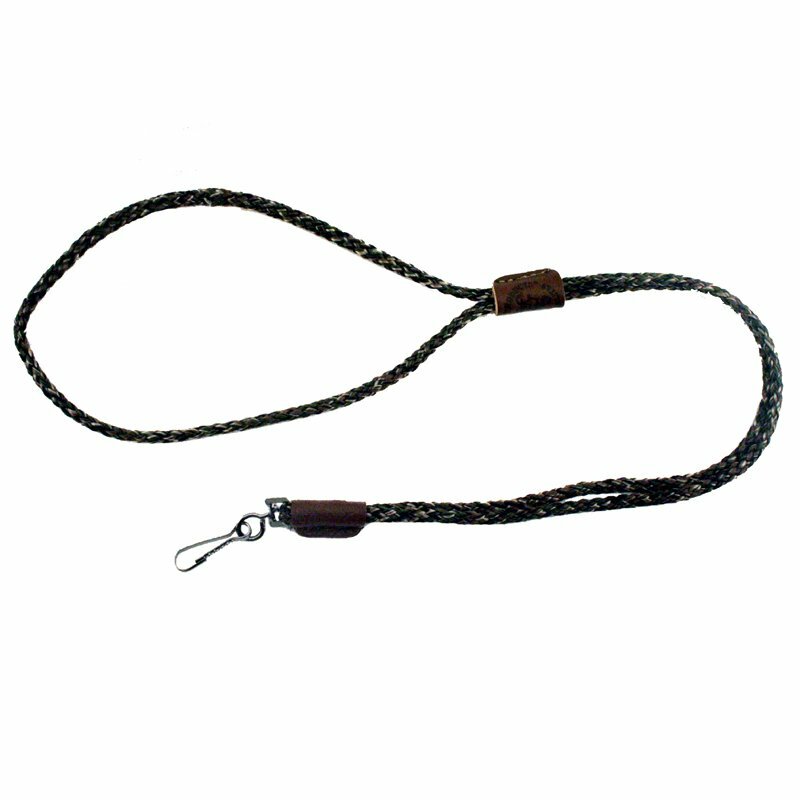 "Very comfortable fit around my neck. Plenty long and well built." Very comfortable fit around my neck. Plenty long and well built. "Nice for the price. My 5 year old son loves his"
Nice for the price. My 5 year old son loves his; he's the official owner of our newest setter pup. "I actually use this for my keys"
I actually use this for my keys: one I can always find them now, and two, it fits over bulky winter coats so no lost keys in the snow! "Works very well. I always know where my whistle is!" Works very well. I always know where my whistle is! "About 6in too long for me. Pup likes to jump at it. Otherwise well made." About 6in too long for me. Pup likes to jump at it. Otherwise well made. 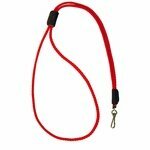 The Mendota Premium Solid Braid Lanyard features solid braid multi-filament UV coated polypropylene cord with leather sleeves and a unique leather slide. Black "non-glare" security snap.